Pioneer Foods is adding the UK-based granola brand, Lizi’s, to its stable of well-known breakfast cereals. Pioneer Foods is the market leading breakfast cereal manufacturer in South Africa, with household brands such as Weet-Bix, ProNutro, and Bokomo corn flakes among others. The transaction which is effective immediately sees Pioneer Foods UK (a 100% owned subsidiary of Pioneer Foods) acquiring 100% of the issued share capital of The Good Carb Food Company, (owner of the Lizi’s granola brand), for an undisclosed amount. Pioneer Foods UK has been manufacturing Lizi’s products under contract for The Good Carb Food Company, and has been instrumental in co-developing products for some time and as a result has gained significant product and market knowledge. “This purchase is in line with our strategic plans for acquisitions in geographies and categories where we have an existing presence,” says Pioneer Foods CEO, Tertius Carstens. “We are confident that this deal will benefit both the Lizi’s business as well as our own, given the synergies between the companies. Within the UK cereal sector, granola is one of the fastest growing categories and this creates a unique and beneficial opportunity for Pioneer Foods. 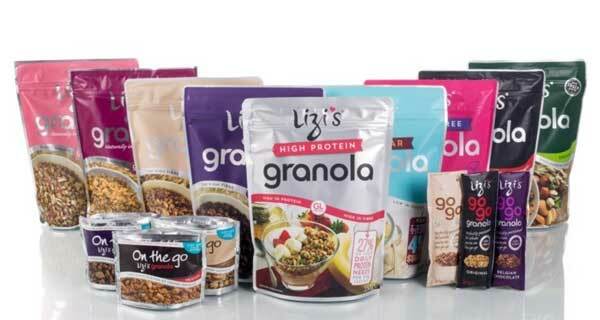 “Lizi’s is the fastest growing brand in the UK’s fast-accelerating granola category. The brand has shown exceptional growth over the last three years and is now the number two brand in its category,” says Carstens. Pioneer Foods UK (formerly, Bokomo Foods UK) is an established breakfast cereal manufacturer in the UK and is 100% owned by Pioneer Foods. The company focuses on the manufacturing of breakfast cereals, such as wheat biscuits, granola and muesli, mostly private label, for the majority of the leading UK retailers. With state-of-the-art production facilities (including one of only two wheat biscuit factories in the UK) and a strong product development capability, the company is well positioned to meet ever-changing consumer demands in the breakfast cereals category. In addition it enjoys a strong presence in the fruit-snacking category within the UK. Established in 2003 by Dr Mick Shaw and his wife Lizi, The Good Carb Food Company prides itself on being a manufacturer of wholesome food that delivers sustained energy and protein throughout the day. The company was the first to measure Glycemic Load (GL) in its products, including its Lizi’s granola products, which helps control blood sugar levels.